I believe people deserve a chance to succeed. When I was growing up and my family faced financial hardships, I learned that sometimes people get knocked down, and that it is important to offer avenues to help them get back up. Luckily there were programs that afforded me and my family an opportunity to succeed in spite of the obstacles. I was lucky enough to attend great public schools throughout my primary education, and then I joined the Army national guard after high school. With the help of the G.I Bill and a Perkins loan I was able to attend college and eventually become a practicing Nurse Practitioner. As I look at our current political landscape these opportunities that were afforded to me are becoming fewer and further between in our society. We see our state government more interested in protections for businesses than people. This is why I am running, because our state needs to focus on our people. I want to hear from you and I want to hear what issues you want me to fight for when I am your state representative. Every day matters and every vote matters, which is why I have made a campaign commitment to knock doors every single day - rain or shine - and do my best to reach out to as many of you as possible here in the 24th district. I am on day 21 of 75 days of knocking. 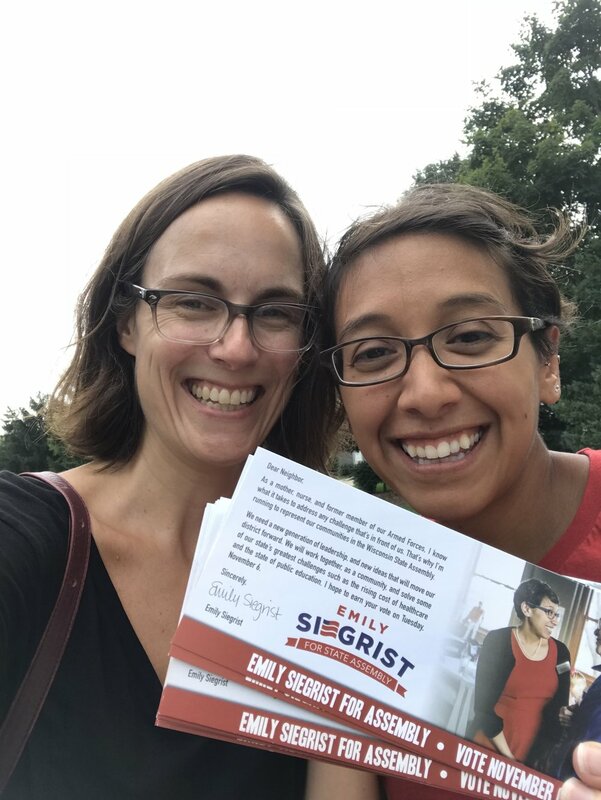 Emily Siegrist is the kind of passionate fighter we need in Madison. Serving five years in the Army National Guard, her devotion to country is paramount to who she is. Working 15 years in the medical field she has an unquestioned devotion to serving her community, and as a mother of two she is focused on moving our state forward. For far too long Wisconsin has been divided and unable to tackle the challenges that confront our state. Emily is dedicated to working beyond party lines to take these challenges head on. Her focus isn’t on which party someone belongs to, but rather what solutions do they offer. 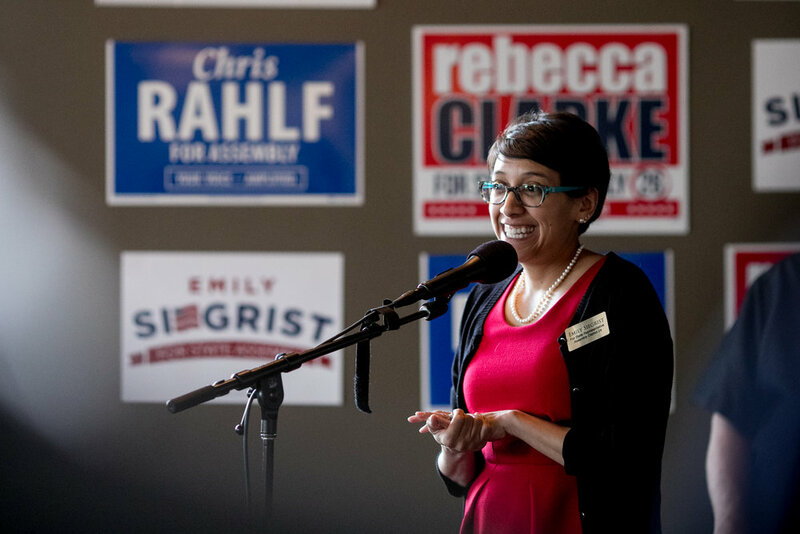 Emily Siegrist offers the kind of change our great state needs.